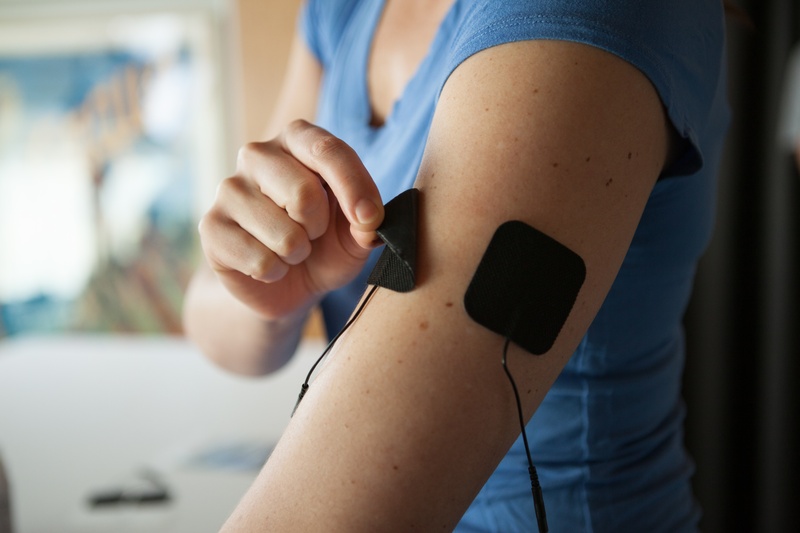 Over centuries, and especially over the last few decades, electrotherapy has become a safe and trustworthy tool for pain relief, recovery and more. 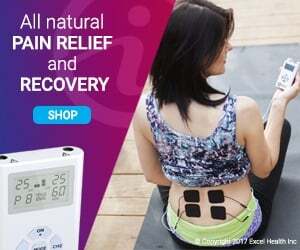 Today, thanks to accessible and affordable over-the-counter (OTC) products like those by iReliev, it’s very easy to bring the benefits of electrotherapy straight into the home. These OTC products are made to be safe and user-friendly. For instance, each iReliev TENS or EMS unit comes with a series of pre-programmed settings. These settings allow users to explore different levels of intensity and treatment patterns. However, there’s one other thing that users can explore to hone in on that perfect treatment and that’s pad placement. One can play around with how they arrange their electrode pads on their own. To optimize best pad placement we have compiled some of our best suggestions for effective pad placement and tips to help ensure that you can benefit from TENS and EMS therapy. First of all, figure out exactly where your pain is located. Sometimes pain radiates outwards, but for effective treatment you’ll want to find the most concentrated and tender source of pain and place the pads around this area. The distance of pads can vary. However, electrode pads should never touch and should be at least 1 inch apart, generally speaking. If you have a dual channel TENS Unit, that means you will have the ability to have 2 small electrode pads per channel with the ability to place up to 4 small electrode pads. This is particularly helpful if you need to cover a larger area of pain. We don’t advise placing electrode pads directly over a joint such as the knee, elbow or ankle. The movements of the joint can alter the adherence of the pad. For more specific placement of your electrode pads, check out our Electrode Pad Placement Guide. The direction of pad placement can vary, too. Effective pad placement might occur for you in one of three directions: vertical, horizontal or diagonal. If your pain is wide, you’ll definitely benefit from using more pads and possibly a diagonal placement. For example, if you’re feeling pain between your shoulders below the neck, try arranging two pads vertically to the left and two pads to the right side of your spine. If your pain extends out even further above or below the shoulder area, the pads can be angulated to encompass the region of discomfort. One secret to effective pad placement is that you can actually alter the flow of the electrical sensation by changing the distance and/or the direction of the electrode pads. Play around with how much space you create between the pads, but do keep in mind that as the distance between them increases, the effectiveness decreases. When the pain extends across a significant distance of your body (e.g. low back to just above the back of the knee), try placing one of the pads vertically, one at the top of the pain and one at the bottom. If your pain is focused over a smaller area (e.g. 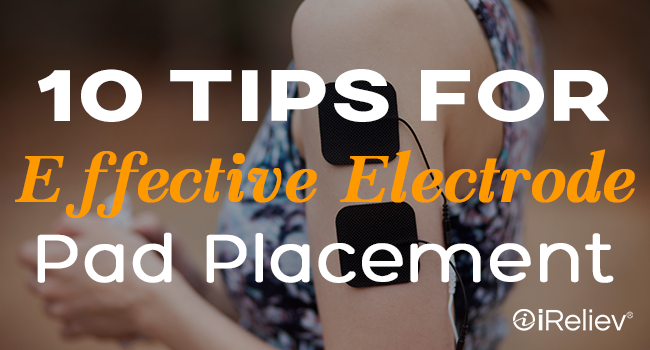 calf pain), place your electrode pads opposite one another on each side of the pain. Hopefully these guidelines will get you off to a good start in finding the perfect and most effective pad placement for you. Add a little creativity to these tips and you’re sure to find that TENS can provide relief for you in more ways than one! If you are interested in the best way to buy electrodes for as little as $1, consider the Dollar Electrode Club.